Report on 'Rethinking Timber Buildings', launched by ARUP (https://www.arup.com/), considers the trends, technologies and new uses that are supporting a resurgence in this most ancient of building materials. Rethinking Timber Buildings examines seven different perspectives on the use of timber in building design and construction. It aims to consider a range of implications – including speed, quality, safety and human experience – relevant to anyone who has a stake in the materials we choose to build with. On March 20th 2019, Faculty of Civil Engineering and academic publishing company Springer Nature jointly organized workshop Publishing Scientific Research hosted by Faculty of Civil Engineering. Workshop was held by Mrs. Nathalie Jacobs, executive editor for Engineering and Applied Sciences, who focused her presentation on addressing key elements required for publishing papers in high impact scientific journals. Main topics of the workshop were logical manuscript structure, selection of the appropriate journal, publication ethics, tools and resources available for facilitating successful paper submission. Total of 72 people attended the workshop, for the most part from Faculty of Mechanical Engineering and Naval Architecture, Faculty of Transport and Traffic Sciences and Faculty of Mining, Geology and Petroleum Engineering, together with attendees from other University of Zagreb’s constituent units, public institutions, SME and host Faculty of Civil Engineering. Assist. Prof. Mario Bačić: Protection measures against rockfalls on roads. In addition, colleagues D.Bekić and M.Kušter Marić have participated at the Sectoral Roundtable - Inspecting & Managing Bridge Assets. The European Investment Fund (EIF) and Privredna banka Zagreb (PBZ) have signed the first Erasmus+ guarantee loan agreement in Croatia for mobile master's students. For details visit the original EIF page. Welcome to Faculty of Civil Engineering University of Zagreb. Civil engineering studies were initiated with the establishment of the Technical College in Zagreb on 1st October l9l9. The Civil Engineering Division was situated on the first floor of the converted school building at 6, Roosevelt Square. In l926 the Technical College integrated into the University of Zagreb as the Technical Faculty. In l940 the Faculty moved into a new building at 26, Fra Andrije Kačića-Miošića Street, where civil engineering courses are still being held. In l956 the Technical Faculty branched into several faculties, among which was the Faculty of Architecture-Civil Engineering-Surveying, which in l962 became three separate faculties, and thus the independent Faculty of Civil Engineering, University of Zagreb, was established. 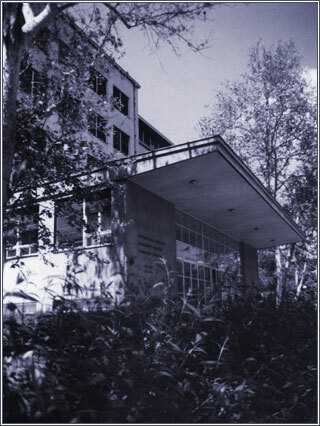 In l977 the Faculty of Civil Engineering merged with the Civil Engineering Institute of Croatia. In the same year the two existing colleges of civil engineering joined the Faculty and continued to provide civil engineering courses, thus offering their undergraduates adequate vocational qualifications after 5 semesters. On 1st July l99l the Faculty of Civil Engineering once again became an independent institution within the University of Zagreb. In l948 new courses were introduced such as structures, transportation engineering and hydraulic engineering, and in l970 an organisational-technological course. Since 1977 a construction management course has been available, providing the opportunity for students with completed high school vocational qualifications (after 5 semesters) to continue their education at university level. However, in 1988 this was gradually phased out. The first civil engineering undergraduates took their degrees in l923, since when almost 8 000 have graduated. Nearly 700 candidates have completed postgraduate studies in civil engineering, which have been held continuously since l963. The first dissertation was defended as early as 1922, since when more than 200 candidates have acquired their doctoral degrees (Ph.D.).